Her father has told her about the vegetable vendors that line the street corners, how the cobblestones, buffed smooth with wear, buzz underfoot with the vibrancy and clamour of tourists. He has described the overflowing baskets of volcano-red chilli peppers that shine like rubies in the sunlight, how he, still a young child, can not resist touching one, in spite of his mother’s, her abuela’s admonitions. This is the Havana he recalls fondly, the one he left for Miami at the collapse of the Batista regime at age seven. The markets I see in Havana are dreary, the produce bedraggled, earth crusting the foot-long yuca (cassava), flies circling the plantains, chilli peppers that are yellowing, shrivelled. The state-run stores (there are no other kind) in Calle Obispo, the main drag in Old Havana are sparse and filled with Chinese imports. The once-lavish high-rise hotels and their famous bars built with American investors’ and mafia money in the 40s and 50s wear the neglect on their exteriors; state-run, the staff in starched whites are surly, terse. Lime juice for mojitos is poured from a Tetra Pak. Havana’s are the tales that she, almost thirty-years-old now, a chef in Boston who grew up with these immigrant stories in their Miami family home, recounts. 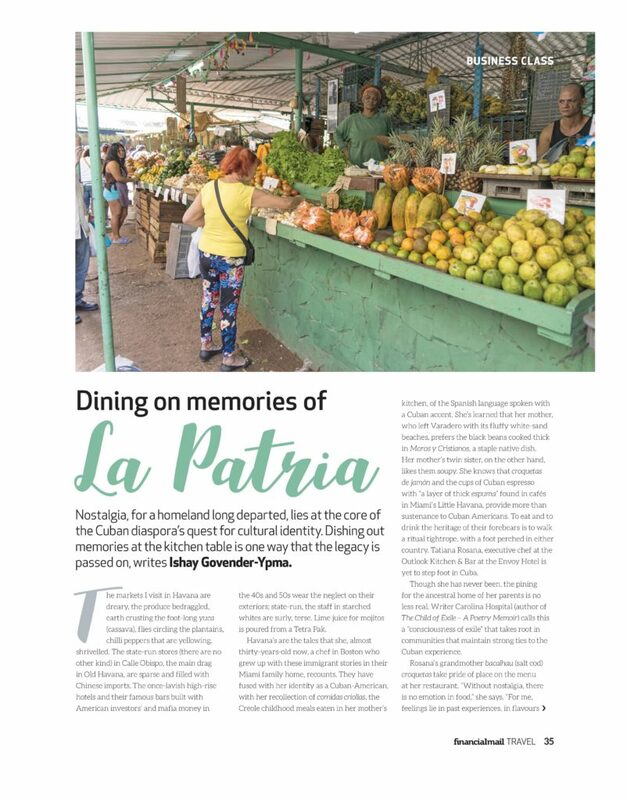 They have fused with her identity as a Cuban-American, with her recollection of Comidas criollas, the Creole childhood meals eaten in her mother’s kitchen, of the Spanish language spoken with a Cuban accent. She’s learned that her mother, who left Varadero with its fluffy white-sand beaches, prefers the black beans cooked thick in Moros y Cristianos, a staple native dish. Her mother’s twin sister, on the other hand, likes them soupy. She knows that croquetas de jamón and the cups of Cuban espresso with “a layer of thick espuma” found in cafés in Miami’s Little Havana, provide more than sustenance to Cuban Americans. To eat and to drink the heritage of their forebears is to walk a ritual tightrope, with a foot perched in either country. 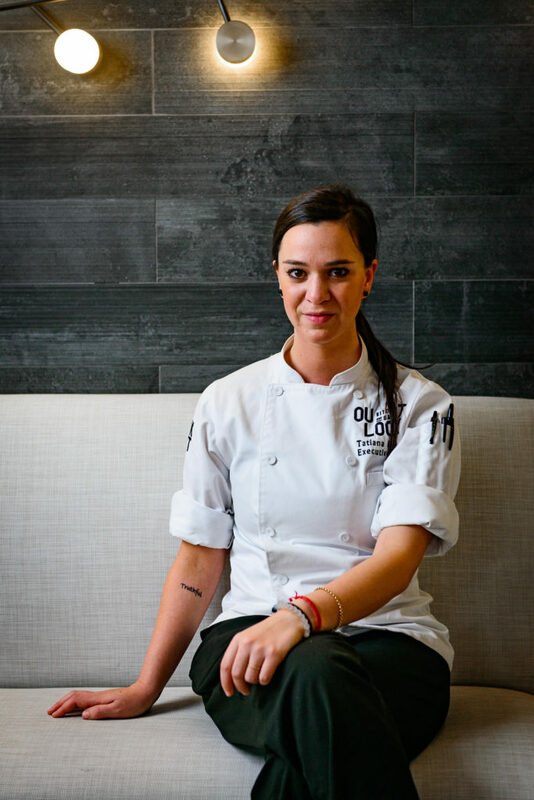 Tatiana Rosana, executive chef at the Outlook Kitchen & Bar at the Envoy Hotel is yet to step foot in Cuba. Though she has never been, the pining for the ancestral home of her parents is no less real. Writer Carolina Hospital (The Child of Exile – A Poetry Memoir) calls this a “consciousness of exile” that takes root in communities that maintain strong ties to the Cuban experience. Rosana’s abuela’s bacalhau (salt cod) croquetas take pride of place on the menu at her restaurant. “Without nostalgia, there is no emotion in food,” she says. “For me, feelings lie in past experiences, in flavours and ingredients that sing to my childhood.” Memory, whether based in lived experiences, or relayed, as it is in immigrant cultures, becomes “an exercise of the living”, according to Flora Mandri in Guarding Cultural Memory – Afro-Cuban Women in Literature and the Arts. Memory, she says, imposes both a responsibility and a curse on those who choose to remember. Mandri’s work delves into slavery and its everlasting legacy in Cuba. Comidas criollas or “peasant cuisine” according to Mary Urrutia Randelman (Memories of a Cuban Kitchen), is a fusion of European, native Taíno and Ciboney Indian (the original inhabitants who were merged with and eventually wiped out by the Spanish) and the food of West African slaves who worked the sugarcane fields. It might be simple but she explains that it never lacks flavour – sauces undergo a lengthy simmer with onions and garlic, limes and sour oranges, sweet peppers and butter are used to season. Fried chicken and rice (pollo con arroz), shredded beef or lamb (vieja ropa), stews are commonplace. The bite-sized “party” foods such as empanadas, croquetas, like those Rosana prepares, pastelitos and plantain fries – or tostones when ripe – are beloved by Cubans. 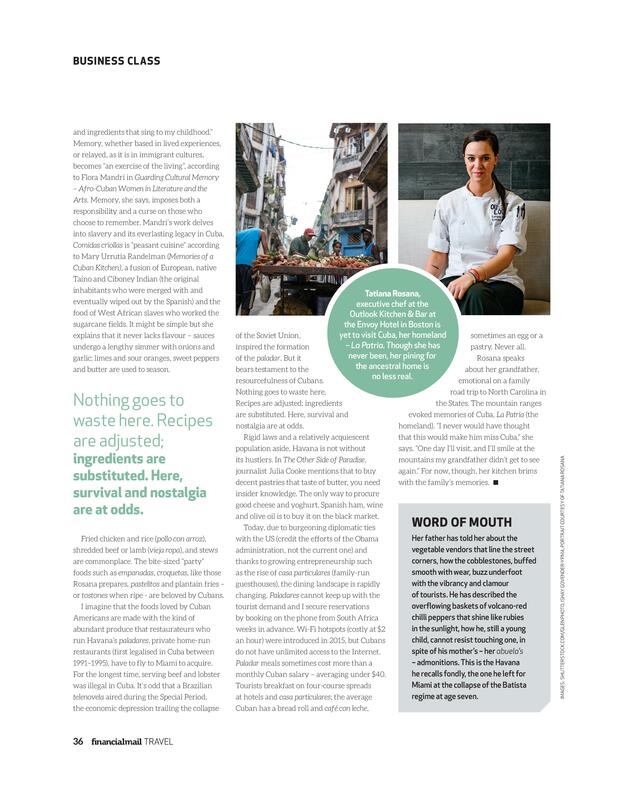 I imagine that the foods loved by Cuban Americans are made with the kind of abundant produce that restaurateurs who run Havana’s paladares, private home-run restaurants (first legalised in Cuba between 1991 – 1995) have to fly to Miami to acquire. For the longest time, serving beef and lobster was illegal in Cuba. It’s odd that a Brazilian telenovela aired during the Special Period, the economic depression trailing the collapse of the Soviet Union, inspired the formation of the paladar. But it bears testament to the resourcefulness of Cubans. Nothing goes to waste here. 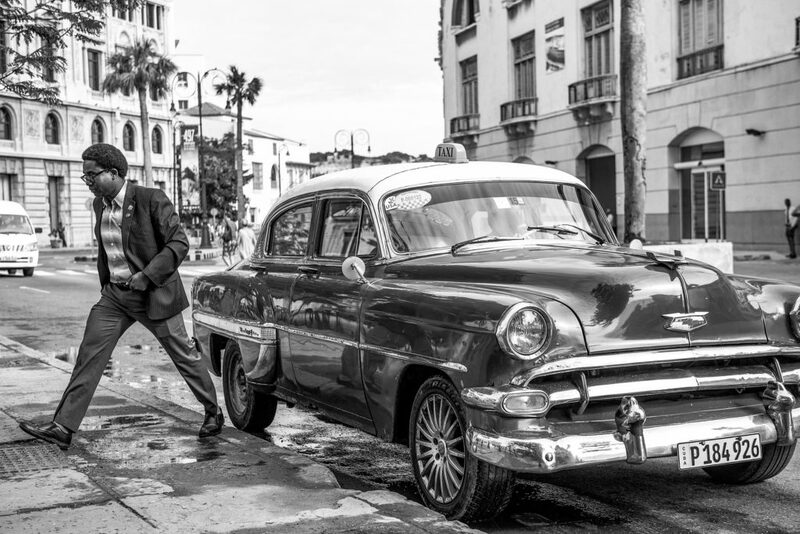 Few could maintain the American 1950s automobiles without supplies, in the gleaming condition that many Cubans do. Recipes are adjusted; ingredients are substituted. Here, survival and nostalgia are at odds. 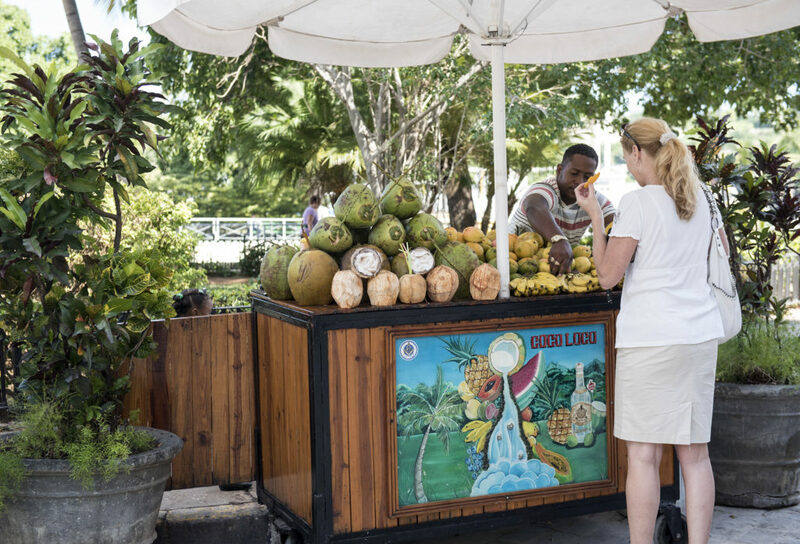 Rigid laws and a relatively acquiescent population aside, Havana is not without its hustlers. In The Other Side of Paradise, journalist Julia Cooke mentions that to buy decent pastries that taste of butter (often butter and lard are lifted by bakers), you need insider knowledge. The only way to procure good cheese and yoghurt, Spanish ham, wine and olive oil is to buy it at great cost on the black market. Today, due to burgeoning diplomatic ties with the U.S – credit the efforts of the Obama administration, not the current one – and to growing entrepreneurship such as casa particulares, or family-run guesthouses – the dining landscape is rapidly changing. Paladares cannot keep up with the tourist demand and I secure reservations by booking on the phone from South Africa weeks in advance. Wi-Fi hotspots (costly at $2 an hour) were introduced in 2015, but Cubans do not have unlimited access to the Internet. Paladar meals sometimes cost more than a monthly Cuban salary – averaging under $40. 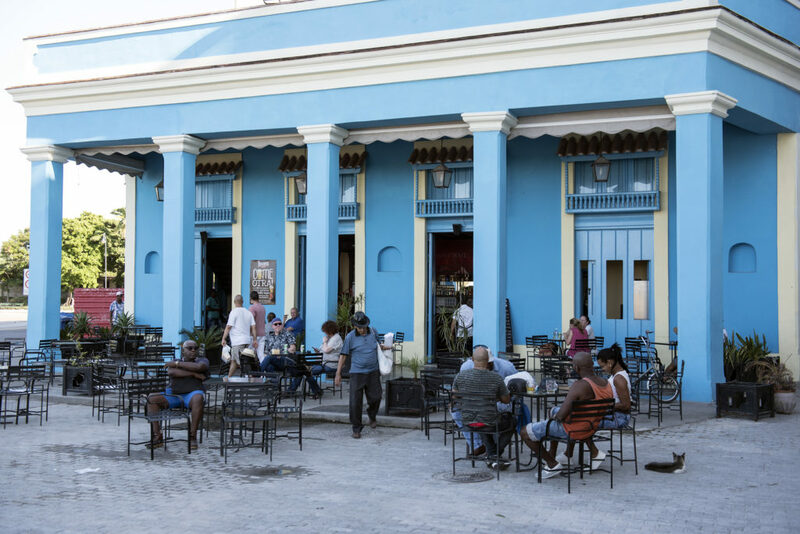 Tourists breakfast on four-course spreads at hotels and casa particulares; the average Cuban has a bread roll and café con leche, sometimes an egg or a pastry. Never all. Rosana speaks about her grandfather, emotional on a family road trip to North Carolina in the States. The mountain ranges evoked memories of Cuba, La Patria (the homeland). “I never would have thought that this would make him miss Cuba,” she says. “One day I’ll visit, and I’ll smile at the mountains my grandfather didn’t get to see again.” For now, though, her kitchen brims with the family’s memories.